FTD can cause changes in all sorts of relationships. Everyone – inside or outside of your family – will approach the situation in their own, unique way. The people closest to the person with FTD will usually understand the impact of the disease best, while others will only see part of the picture. In some cases, the strain may create distance in relationships. With others, relationships may grow closer or stronger. Have you noticed how FTD has changed relationships in your life? FTD gradually erodes the qualities that are required for people to enjoy mutual relationships. The ability of those affected to interact and communicate with others becomes damaged by the disease. FTD makes it difficult for someone to show their feelings and feel emotionally close. A parent with FTD probably doesn’t spend time with you like they used to or talk to you as much. And they may not seem interested in what you do or say. Adults often say the person they loved “fades away” as FTD causes changes to their personality. Your experience of this loss will be different depending on how old you were when your mother or father became ill. A high school student may feel the loss of a previously close relationship more than a younger child who has only known the parent after an FTD diagnosis. The behavior changes that come with FTD can be especially embarrassing for you and often complicate your relationship with the person who is ill. You may feel you don’t want them to come to your activities and feel guilty for feeling that way. Revisit the page on Changes & Coping for suggestions on how to cope with behavior changes and Sometimes I Feel for help managing confusing emotions. Sometimes FTD causes a person to be angry and hurtful. You and your siblings must be clear that if their comments or actions feel abusive, you MUST share it with your well parent or another trusted adult and develop a plan to address the behavior. Your home should feel safe and secure for everyone. FTD will eventually make someone who used to take care of you become someone who needs to be cared for. Many families find there comes a point in time when the person with FTD needs so much help that it is too hard to take care of them at home. They may be safer and more comfortable living in a group home, assisted living facility or nursing home. 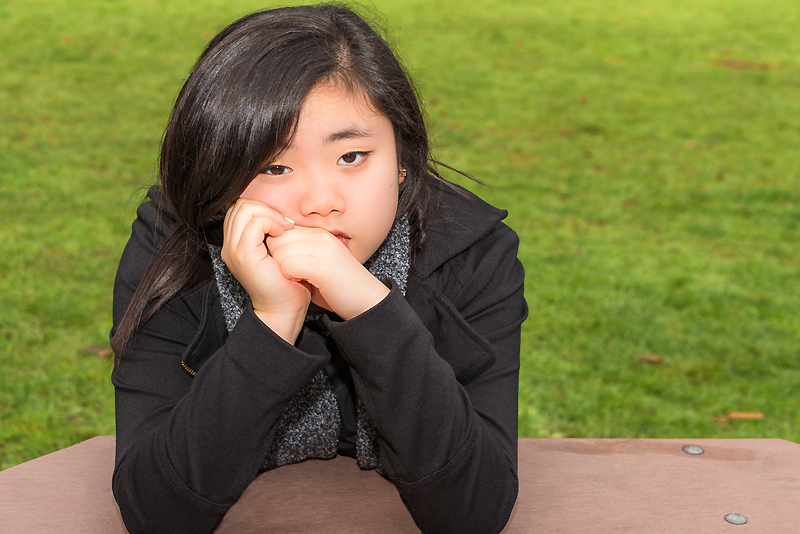 Some teens find they feel confused or very sad that the person with FTD has to move. Others find that they feel glad or relieved that things will be easier at home. When a parent moves away from home there is no right or wrong way to feel. Not having your parent at home reflects a change in your relationship. Some people may find it difficult to feel connected to the parent when they live in a different setting while others find it easier to have a friendly visit without the stress of providing care at home. For ideas about managing your loved one’s move to a residential facility visit Stuff You Can Use. Your well parent has to take on many new responsibilities and will have a ton of new concerns and stressors. Your well parent is likely reaching out to other relatives or friends to help take care of you, which might be difficult for you to accept. Routines tend to change and you may spend more time with other family members or close friends of the family than you do with your own mom or dad. While there are many ways you can help, your parents’ emotional well-being is not your responsibility. Your parents will need support outside the house and you will need to have adults available for you when your parents can’t be there for you. Having extra responsibilities and doing the right things – working harder at school, being patient, giving up time with your friends to help out at home – deserve praise. But sometimes your attempts may go unnoticed and it’s natural that you may feel unappreciated. With FTD, it is common for the person who is sick to be unable to express thanks or talk about their feelings. And it is likely that the parent who is well is too stressed to remember to acknowledge you. It’s up to you to remind yourself that they do care and your efforts do matter. Resist the temptation to become resentful. Find a kind, positive way to ask for the reassurance you need. When you have brothers or sisters there is a certain amount of caring for one another that happens in any family. Now that one of your parents is sick, your relationships with your siblings may change. In many families, siblings become closer as they share the experience affecting their family. If you have been responsible for your younger siblings in the past, which is typical if you are the older of the siblings, you may be expected to be even more responsible for them now. You may be expected to not only take care of the day-to-day stuff, but also to help them understand what FTD is all about. A lot of kids are not sure if they will say and do the right things when talking to their younger siblings about their sick parent or FTD. Ask for help if you feel pressure or overwhelmed with responsibility. Relationships with extended family and family friends must also adjust. Many people will make an effort to understand FTD and will try to contribute to support your family’s needs. In the early stages of FTD however, it can be really difficult for others (especially those who don’t know your sick loved one well) to recognize what is actually wrong with him or her. To the outside world the person with FTD may seem normal. Many families report having major disagreements with people who don’t live in your house about how the person with FTD is being cared for or they may question if the person is even sick – simply because it’s difficult for them to understand FTD from the outside. You may find that some friends and relatives become uncomfortable spending time with your family. Some may not even ask about how you or your family is doing. Typically this happens when they don’t know how to react to the person who is sick or being around a bad situation makes them feel too sad or uncomfortable. It’s also likely they may just not know what to say or do. In situations like this it’s important to educate the people around you about FTD as best you can. Consider sharing this website with them or point them to the AFTD website at www.theaftd.org. Educating others can help clear up questions, bring compassion and understanding and can be incredibly empowering for you! But remember, even when done well, everyone comes to understanding and acceptance of the disease at their own pace and in their own time. It’s not something you can force. I used to love to go to my friend Gretchen’s house, especially on Friday nights when her family orders pizza, plays board games, and eats tons of junk food. But now I come up with excuses not to go because it’s painful to see her family joking and having fun when my family seems to be falling apart at the seams. My mom has been sick with FTD for 5 or 6 years. That’s a long time when you are 14 like me. I remember the mom in the picture from when I was 8 or 9, but those memories don’t have much to do with the mom who lives with us now. We love and care for mom now, but in a whole different way. She’s just not the same person. It was a real shift for me to see my mom as two different people. Up until recently she was always just “my mom.” But now she’s my mom AND “Cathy the caregiver.” She’s not as available to me and she always had a lot on her mind. I started feeling resentful. Once I started seeing this other side of her it helped me realize how hard my dad’s illness is on her, too. Our relationship has changed – but it’s even stronger now. My brother and I end up taking care of my mom when she’s not at her day care program and Dad has to work. We end up fighting about whose turn it is to watch her, whereas before we never fought and loved hanging out together. I miss the old days.